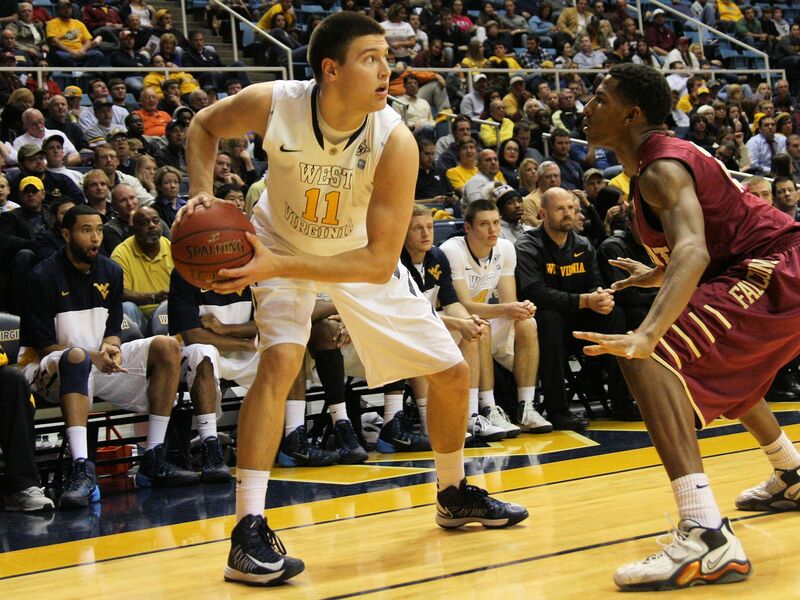 Freshman forward Nathan Adrian didn’t have far to travel to attend college. The Morgantown High alum had grown up a fan of the Mountaineers, and he didn’t have to think twice before accepting a scholarship offer from head coach Bob Huggins. Being the first Mohigan to earn a scholarship for the gold and blue since current radio commentator Jay Jacobs, Adrian enrolled at WVU during the summer session looking to make the most of his opportunity. After hitting 7 of his first 12 three pointers in the regular season, Adrian made it clear that his performance against Fairmont State was no fluke. The results have to be especially pleasing to Coach Huggins, who has watched his teams struggle shooting the ball for the past two seasons. “We made a conscious effort to get some guys who could make some shots,” Huggins said. Adrian’s long distance shooting should complement that of sophomores Terry Henderson and Eron Harris. With the veterans drawing the attention of opposing defenders, Adrian is sure to get many opportunities this year to light up the scoreboard. The gold and blue return to action this Sunday in the annual non-conference matchup against the Duquesne Dukes. The game tips off a 4 p.m. at the WVU Coliseum, and it will be televised on Root Sports Pittsburgh. It has been designated a Coca-Cola Family Day, so fans can purchase 4 tickets, 4 hot dogs, 4 Cokes, and popcorn for $60. Family day tickets must be purchased in advance. In football news, the Mountaineers look to regroup from Saturday’s 47-40 overtime loss to the Texas Longhorns. The team will travel to Lawrence, Kansas to take on the struggling 2-7 Jayhawks at noon, Eastern. The game will also be televised locally on Root Sports Pittsburgh.